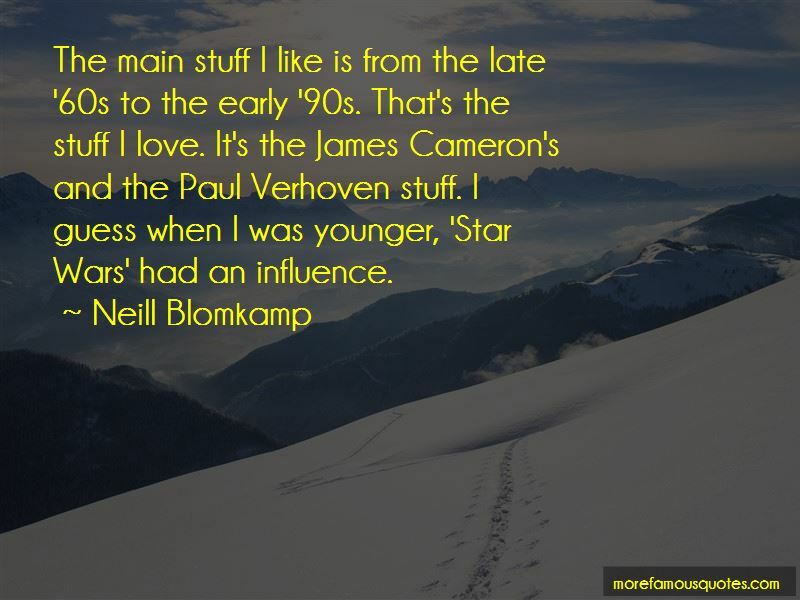 Enjoy the top 74 famous quotes, sayings and quotations by Neill Blomkamp. There are loads of sociopolitical, racial, class and future-planet situations that really interest me, but I'm not really interested in making a film about them in a film that feels like reality because people view that in a different way. 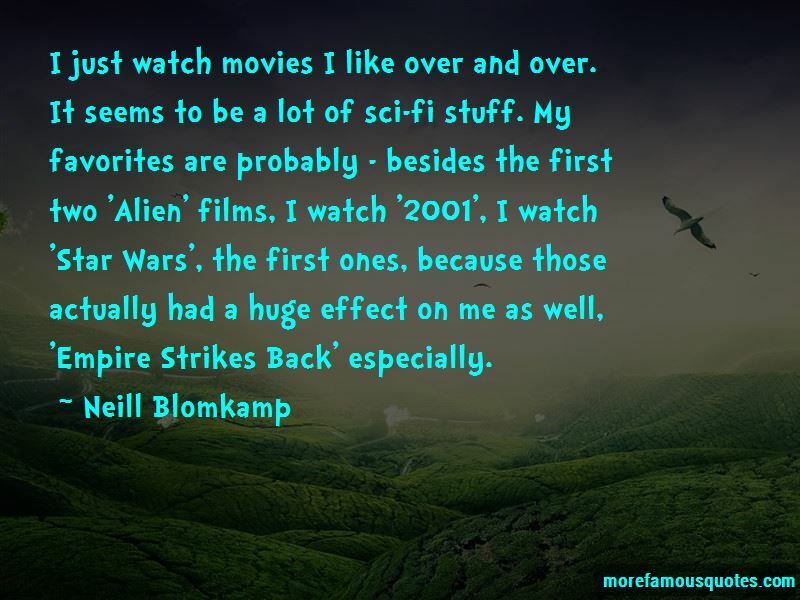 I like using science fiction to talk about subjects through the veneer of science fiction. If you just compare South Africans to the rest of the world, I think that white South Africans, and especially English-speaking white South Africans, are exactly the same as Brits or Australians or New Zealanders or Canadians or Americans. The concept of even having fans is still kind of weird to me. I really just feel like a filmmaker that is only just finding my foot in and is beginning to participate in Hollywood and making films. So the idea of any kind of fandom or people that are waiting for something that I may release is very distant in my mind. This whole notion that the robot has to declare nuclear war is one part of the discussion, but it may not be reality. Reality is, maybe it can empathize to a far greater degree than we can and experience a way wider range of emotions. So, why not have a robot that can do that? You can build a brain the size of a room, theoretically. You could also build a silicone based life form and it could be sentient. There's no limit to the height that you can reach in terms of design once we figure out how to design things, theoretically. 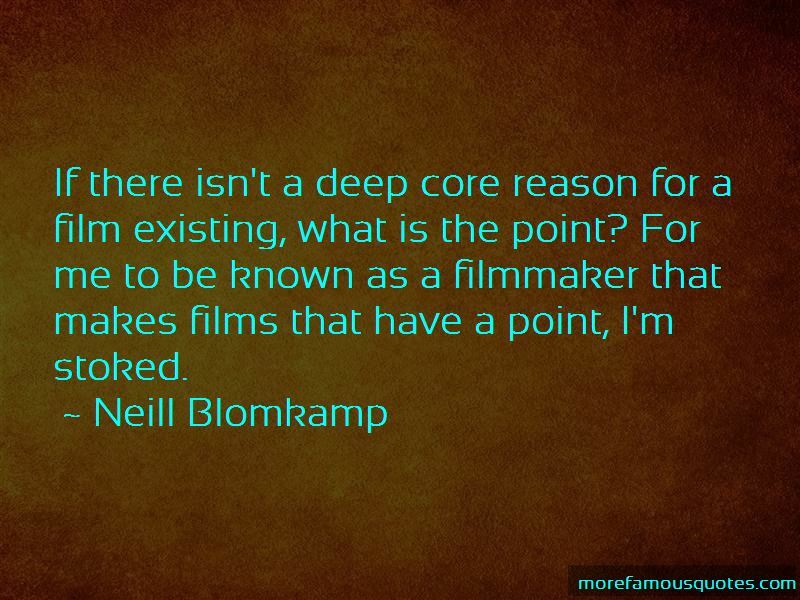 Want to see more pictures of Neill Blomkamp quotes? 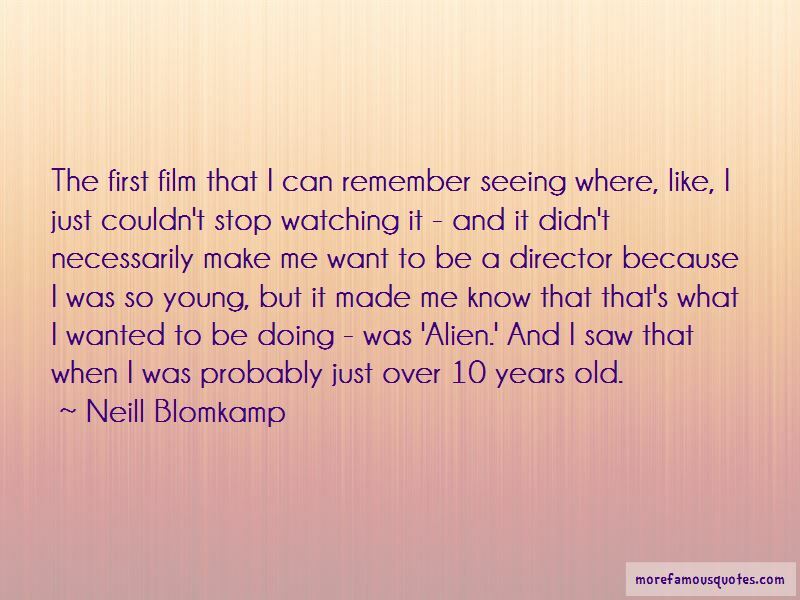 Click on image of Neill Blomkamp quotes to view full size.